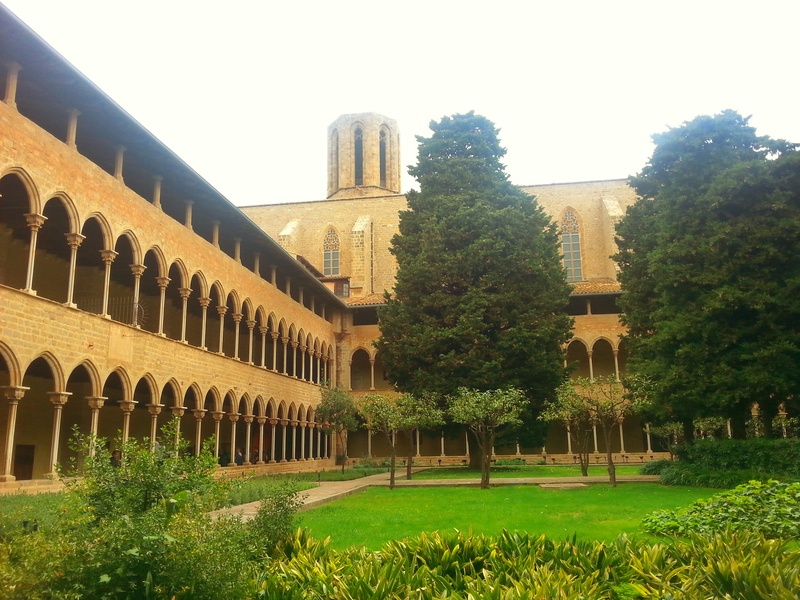 If you are a lover of religious buildings then the Monestir de Pedralbes (Pedralbes Monastery) should be on your list to visit. Even if not, it makes for a very peaceful afternoon, and there is free entry every Sunday after 3pm, or all day on the 1st Sunday of the month. Ask the attendant on the way in for the audio guide, for just 60 centimos you’ll learn a lot more as you go around. The pretty gardens in the centre of the monastery are filled with flowers and herbs, and you can get some nice photographs of the arches around the outside. The highlights for me included La Capella de Sant Miquel, St Michael’s chapel which re-opened in March, showcasing the beautiful painted murals by Ferrer Bassa in 1346. An accompanying exhibition shows the painstaking restoration of the mural, which was a long and complex process. 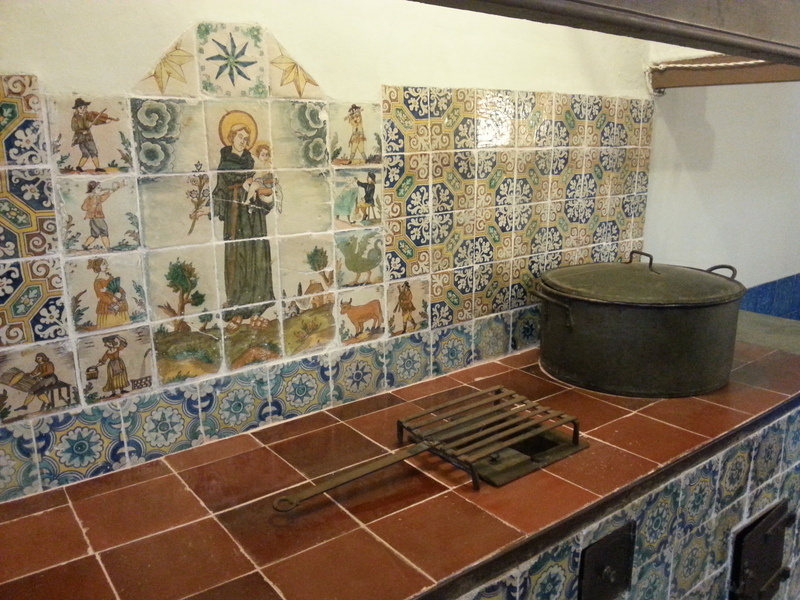 Another less ‘glamorous’ but just as interesting part was the kitchens of the monastery – it seems odd but I hadn’t really associated the monastery with nuns living there until I saw the kitchen, complete with pots & pans! A short visit of 45 mins to an hour is plenty to wander around the grounds, and although I wouldn’t say this is a must-see for every visitor to Barcelona, I would recommend it if you are craving some peace and quiet in a relatively tourist-free part of the city. Pedralbes itself is also a nice area to wander round. It was traditionally, and still is, a wealthy area of Barcelona and is home to Finca Guell where you can see Gaudi’s wrought iron gate work. Then I would suggest a wander round the gardens of the Palau Reial de Pedrables (the Royal Palace Gardens) and the beautiful Parc de Cervantes which has a stunning collection of roses in the spring.